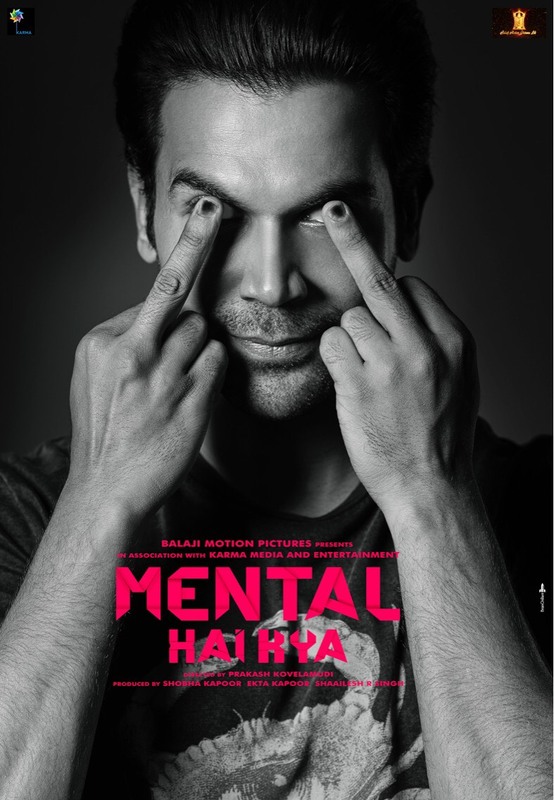 Ekta Kapoor's forthcoming film 'Mental Hai Kya' starring Kangana Ranaut & Rajkumar Rao's first look is here and the makers promise, this is just the beginning. Known to churn out some of the most interesting and unconventional films, Ekta Kapoor’s Balaji Motion Pictures & Shaailesh R Singh’ s Karma Media announces it’s next, ‘Mental Hai Kya'- a one of its kind entertaining thriller with a blend of quirk. Both actors have proved their acting prowess by delivering some of the most brilliant and celebrated performances in recent times. The duo who were last seen in the 2014 blockbuster 'Queen' are all set to be reunited for yet another ground-breaking film where they're set to play unusual and uncanny characters. The film written by Kanika Dhillon, will be directed by Prakash Kovelamudi, national award winning director for telegu film, Bomelatta. 'Mental Hai Kya’ promises to be a young and edgy entertainer and it comes at a time when 'the different and the bizzare' are being celebrated. Ekta kapoor adds "Mental Hai Kya celebrates the beauty in imperfections and in being different and shouts out, Sanity is overrated! I'm thrilled to work with Kangana and Raj on this one". Interestingly, the makers have announced the film in a unique manner with two distinct looks of both actors coming each day. Bursting with quirk and madness, the look is sure to make you question- ‘Mental Hai Kya'' and is a striking look to keep you wanting for more. Ekta kapoor known for her clutter breaking promotional ideas will be treating the audiences with these varied and atypical looks for an entire week! 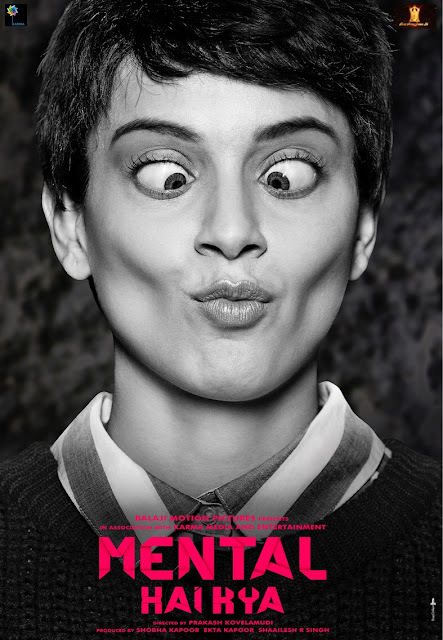 'Mental hai kya', is directed by Prakash Kovelamudi and is being produced by Balaji Motion Pictures and Karma media and entertainment. ‘The film goes on floors this month with their first schedule beginning in Mumbai before the cast and crew gear up for London.